A permit is required for visit to the sanctuary. (As of 2007-08) Entry Fees to visit the park (Hollong) : Rs. 25/- Per head for Indian Nationals. Rs. 50/- Per light vehicle. Rs. 200/- Per heavy vehicle. Rs. 5/- Per still camera. Rs. 250/- Per video camera. A thrilling elephant safari is organized in the early morning from Hollong to offer the exquisite beauty of the vast grassland of Jaldapara. 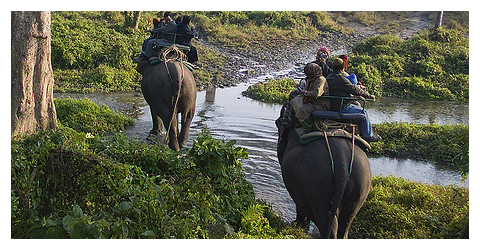 The elephant ride is the best possible way to explore the sanctuary with the rare sight of Indian rhinos and Asiatic elephants. The jeep safari inside the sanctuary is another main attraction. Jeeps can be hired from Madarihat for day visits.